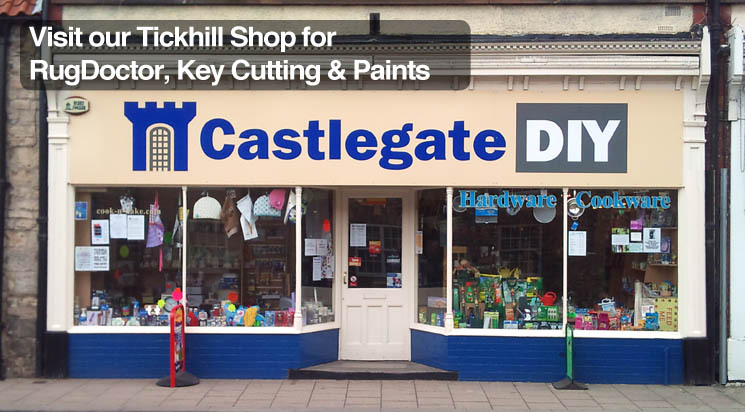 Castlegate DIY was established in November 2011. However, there has been a DIY store on these premises since the 70's. We still get called 'Handelec'. Now Louise and Tony own the business, we have extended the product range and if we haven't got what you require, we can normally get within a couple of days. We stock an eclectic range of items including, Ink Cartridges, Pet foods and accessories, Tools, Hardware, Housewares & Cookware just to name a few. We also offer other services such as, photo copying, scanning, faxing and we are a drop off & collection point for Apple computer and phone repairs in conjunction with Mac Support of Sheffield. We are sure you'll be happy with the products you have purchased. If however, in the unlikely event that you do not like your purchase you can return it within 14 days (in full packaging and undamaged) and you can request a full refund. If the items are damaged, used or not in their original packaging, unfortunately we will be unable to refund you. Please note that this is our refund policy for online purchases only. Please ask in store for our refund policy for in store purchases.